Contact: (516) 650-6555Same Day Rides Available! 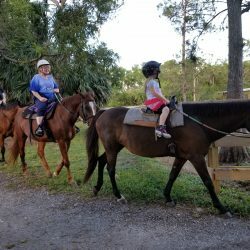 Thanks for contacting us about horseback riding! ALL RIDES REQUIRE A NON-REFUNDABLE 1 RIDER DEPOSIT. WE DO NOT HOLD TIMES WITHOUT A DEPOSIT. 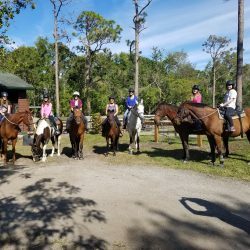 $200/person 2 Hour Experience Lesson & Trail Ride. Ages 2+ pemitted to ride. Prices are the same for children and adults. 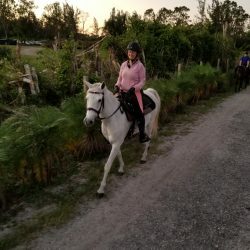 $90/person for a 1 hour private riding lesson. 1. Respond to this text message with your FULL NAME and EMAIL ADDRESS. 3. Provide approximate HEIGHTS and WEIGHTS of each rider. When I receive this information, I will email you a 1 rider deposit. Alternatively, you may call this number to pay the deposit by phone. A DEPOSIT MUST BE RECEIVED TO RESERVE A RIDE. Single riders pay for their entire ride in advanced. ALL DEPOSITS ARE NON-REFUNDABLE. Deposits reserve the ride time and are applied towards the final cost of your ride. 30 Minute and 60 Minute rides are walk only. 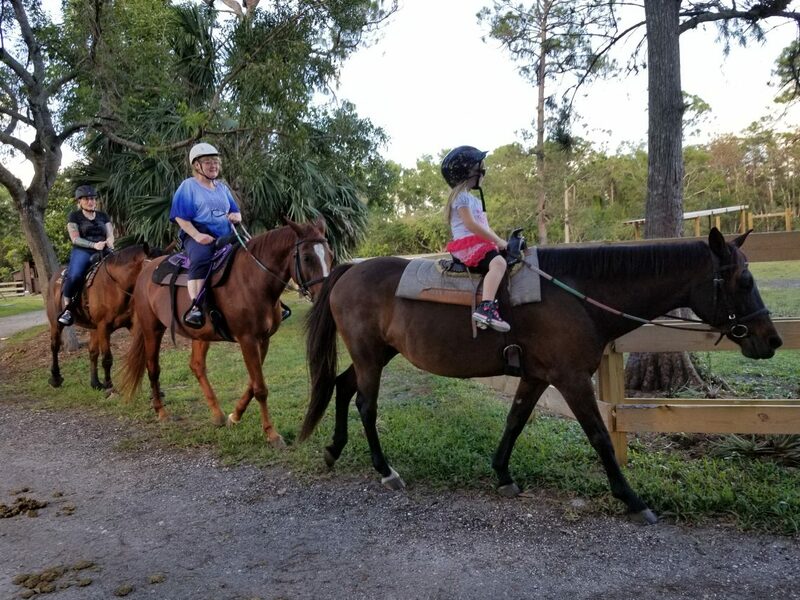 Guides will typically walk on foot aside the horses with inexperienced riders, children, or riders we deem need extra assistance. We ride Rain or Shine. Please arrive 15 minutes prior to scheduled ride time. Arriving after your reserved time will cut into your ride time. If your ride is canceled due to inclement weather by our guide, ride will be rescheduled to a different time. Rides can only be rescheduled by our guides. Wear closed toe shoes and long pants. Sneakers are OK. 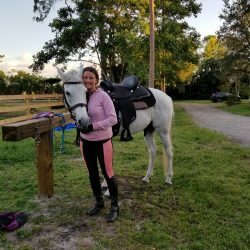 Shorts are OK.
Our trails are through tree farms, horse farms, polo fields, swails, paved & unpaved roadways with cars and trucks. Our horses are very familiar and comfortable with the terrain. All trail rides are done in western saddles. All riders must wear ASTM/SEI certified helmets. We provide helmets at no additional charge. 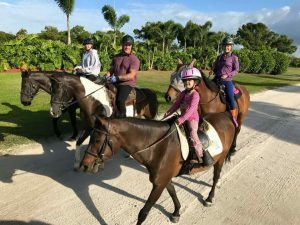 – Great for 1st time riders! 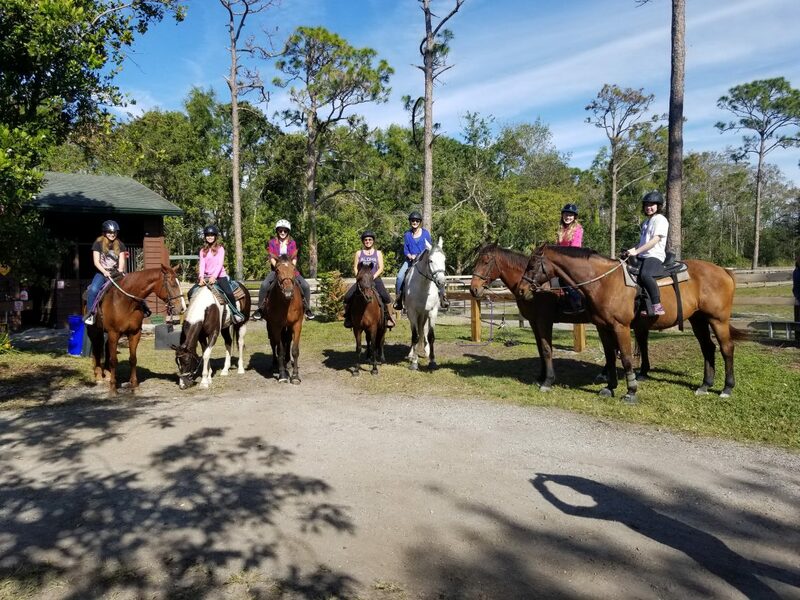 There is no better way to explore southeastern Florida than on horseback. As a relaxing, yet adventure-filled experience, we invite you to come see the best sites Lake Worth has to offer. 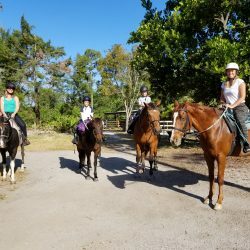 Horseback trail riding through the neighborhoods and canal systems of Lake Worth, we take you to sight-see while enjoying the great outdoors. 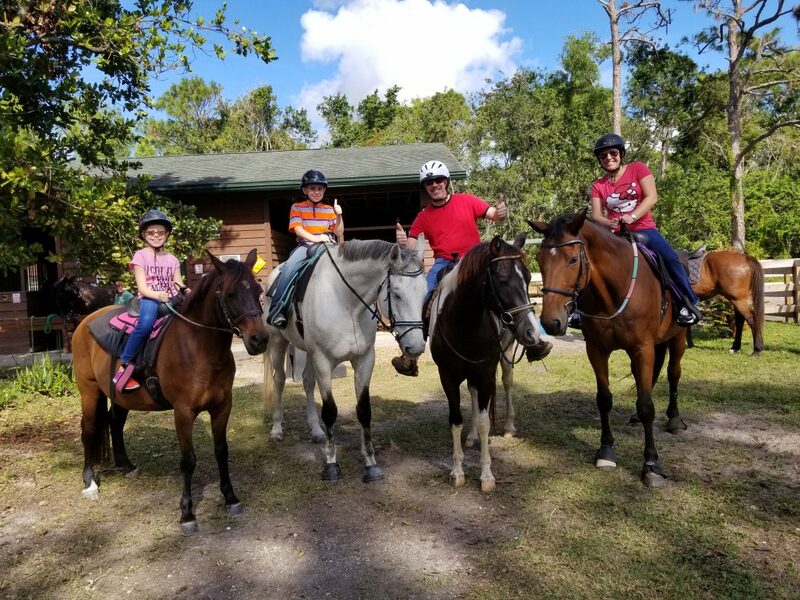 Family-safe while accommodating your comfort levels, our trail rides are the perfect way to see what is hidden on the city’s less-traveled roads. No experience required! 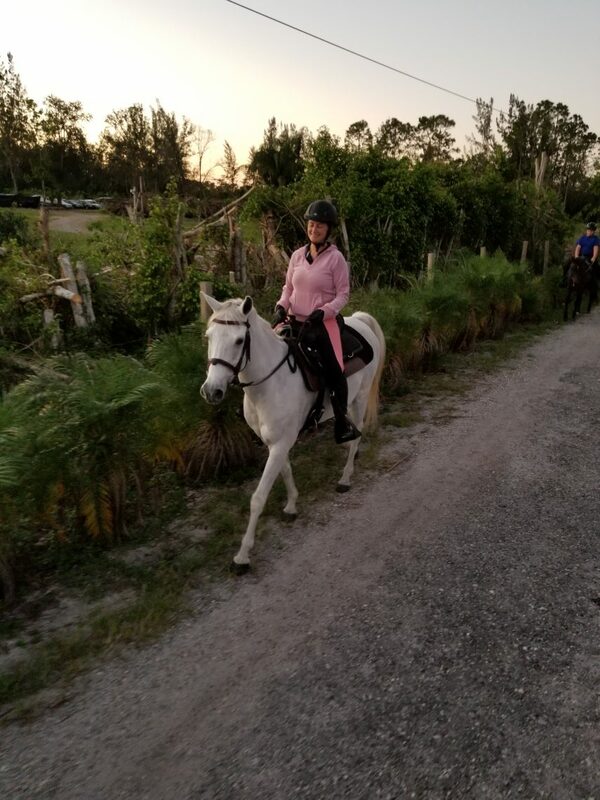 Pink Flamingo Stables’ trail rides are Western style, making you feel like a true cowboy or cowgirl. 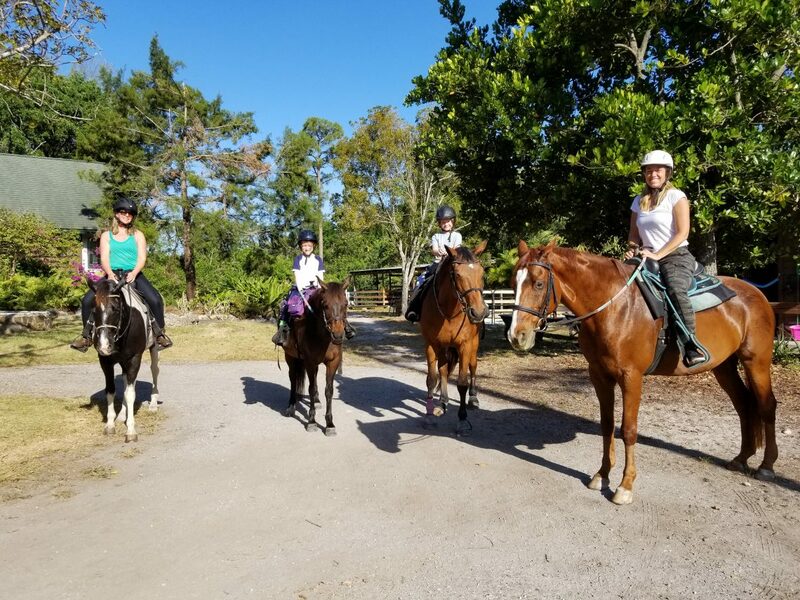 Led by certified trail guides, you never have to worry about anything except enjoying the horseback ride. 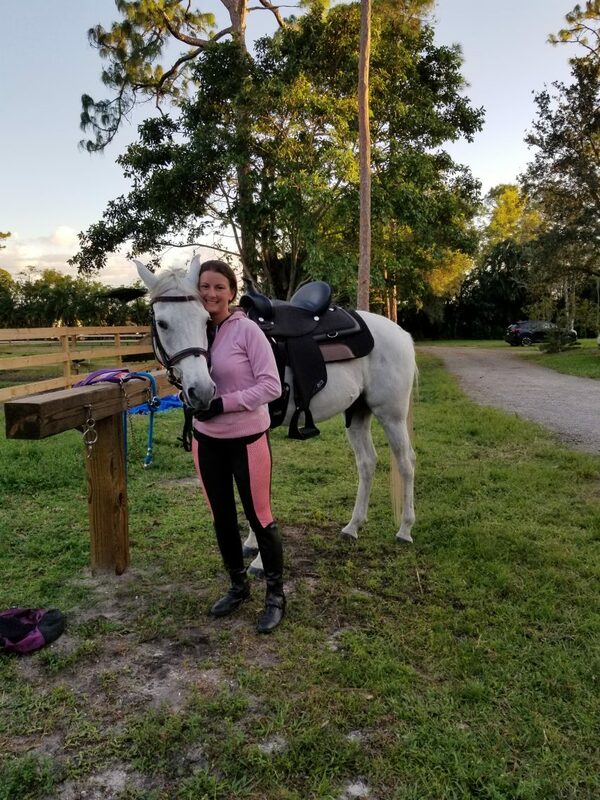 Whether this is your first time or your hundredth, our horses are highly trained and our guides provide assistance for riders with special needs upon request. Whether for a party or just for fun, plan your trip the Pink Flamingo way. 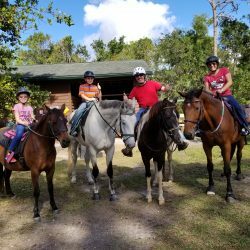 We know the best horseback riding trail rides around, so let us help you make a real experience out of your time with us and experience Lake Worth in an eye-opening way. Contact us today.